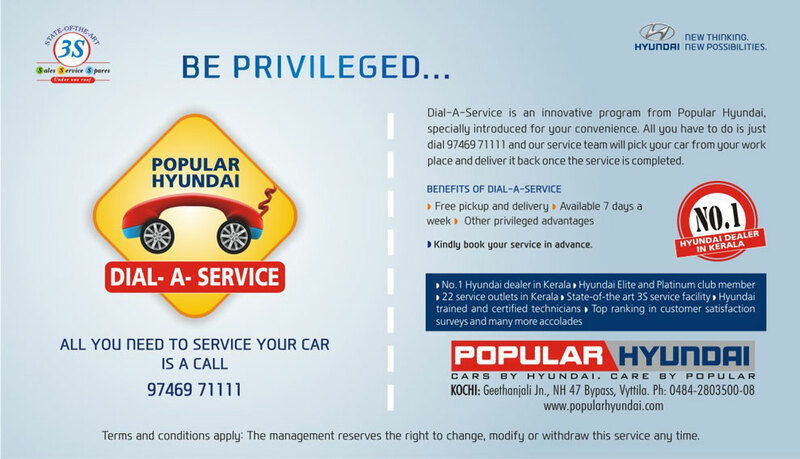 Popular Hyundai’s prime motive is customer satisfaction. We extend our service facilities to the customers by 'Dial a service' facility. All you have to do is just dial 9746971111 and our service team will pick your car from your place and deliver back once the service is completed. The benefits are that the 'Dial a service' facility don’t have any special charges. The pickup and delivery is absolutely free. Our services are available 7 days a week and there are other privileged advantages.